Everyone lives in a watershed, from the great deserts to the tops of the highest mountains. The Los Angeles Basin covers 1,000+ square miles of the second-most densely populated metropolitan area in the United States and is made up of several watersheds, as shown to the right. These are further broken down into sub-watersheds including Tujunga/Pacoima Wash, Arroyo Seco, Sun Valley, Compton Creek, Dominguez Channel, Upper San Gabriel River, Rio Hondo and Ballona Creek. In the past, Los Angeles has taken a single-purpose approach to solving issues of water—building dams, levees, stormdrains, or treatment plants—instead of thinking about ecosystem function. However, nature is holistic, and everything is connected and dependent on something else. With single-purpose planning, eventually the solution to one problem creates a new problem elsewhere. Alternatively, watershed planning is a way of working with nature to provide flood protection without sacrificing water supply, degrading water quality or destroying the natural processes of nature’s services. It takes an integrated approach to managing our resources, focusing on multiple benefits and natural regeneration rather than on single purpose solutions, and balancing socioeconomic and environmental impacts. It builds with nature, rather than against it. Planning through the perspective of the wider watershed takes into consideration all of the connected parts: climate, water flows, culture, wildlife movement, and all of the impacts and opportunities for water supply, cleansing, air improvement, carbon and other greenhouse gas sequestration, and recognition of many other pieces involved in the health and wellbeing of communities. All the parts are connected, and with many regional challenges we have an imperative to advance comprehensive projects realizing many of these benefits at the same time—not just one at a time—with long-term vision for our land and resources. The River Project advocates for watershed planning through evidence-based research and decision-making. Through local action, peer review and collaboration, we develop programs and policies which are designed holistically to create healthy watersheds and in turn create robust climate-resilient communities. 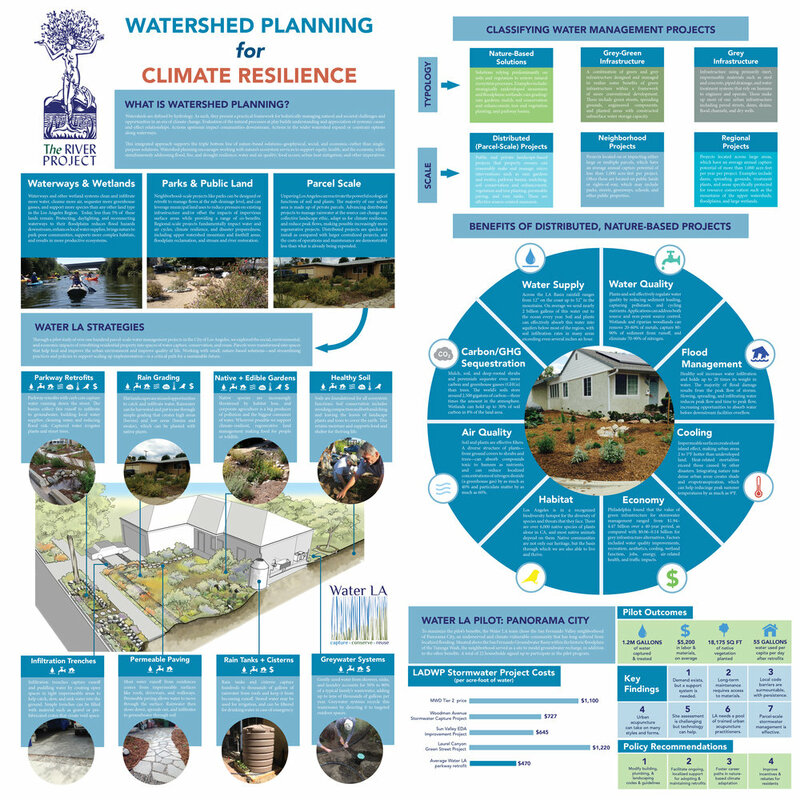 Learn more about watershed planning below!